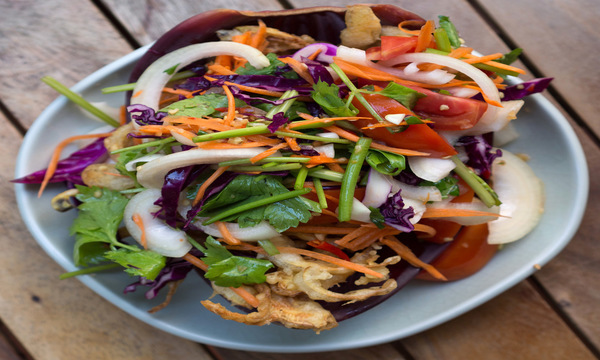 Finding strictly vegetarian food in a Thai cuisine can be challenging, where fish sauce is king of the kitchen. You won’t have that problem with me. I do cook from authentic recipes, I also look out for our veggie friends. Many dishes can even be made vegan. Just ask.